The door of Zeta had taken a hit some time in the past so it was decided that a replacement was needed. 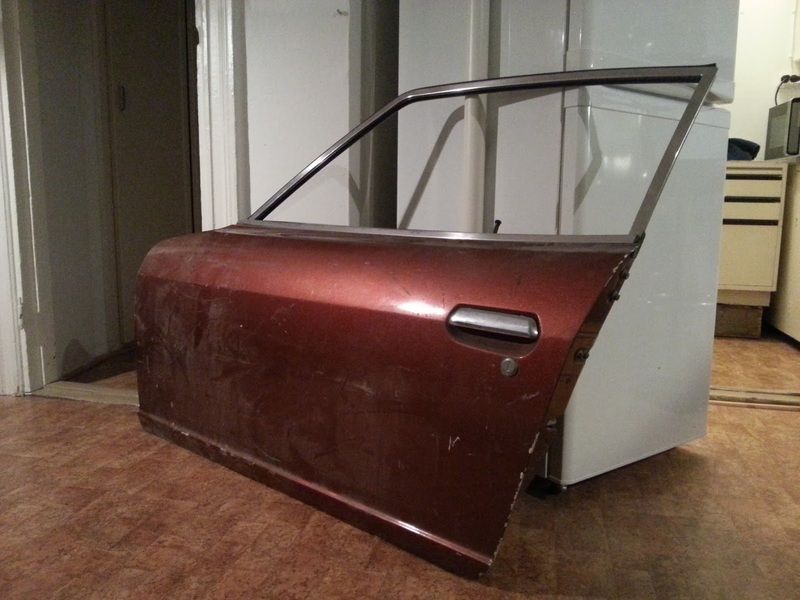 A door in good condition was found from Karkkila, Finland. The pick-up trip took its time, but fortunately a fitting door was acquired and taken home. 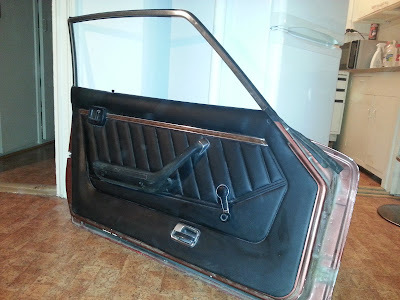 The door is a complete package with glass, door card, lock and arm rest. I don't necessarily need those as I already have them in my old door. If someone feels that he/she would need them, they are for sale. Colour of the door is fine and dandy... One almost could consider that kind of color for Zeta's color. Well time will tell!